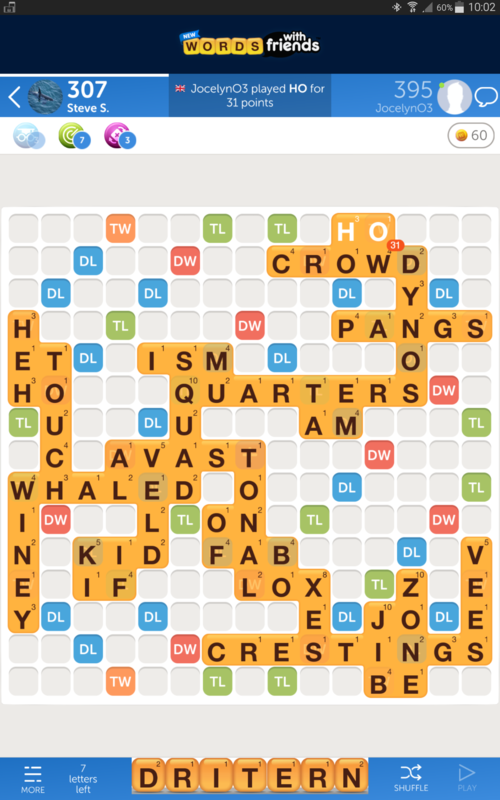 Well I guess it had to happen eventually - despite me having auto-updating switched off, Zynga found a way round it, and has given me WWF2, which is just AWFUL! Worst thing that I've found so far though, is that I have no chat box that I can see. It's active in my settings, but I see no way to access it, see screenshot below. So to all my friends on here, and I know some do frequent this forum, my apologies if I'm ignoring you, but it's all Zynga's fault. ... and if anyone can tell me how to get chat back, I might be persuaded to keep playing, otherwise I think I'll be heading for pastures new. @linkshighlights , sorry, but can't message you or anyone, via the game any more. 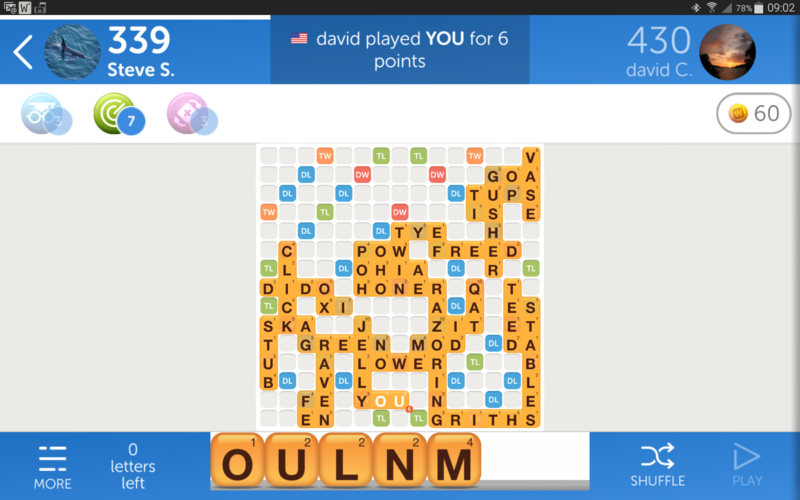 You'll find me on Wordfeud now, id: Steve Sheehan . Hopefully it's temporary. Have you tried the obvious... uninstall/reinstall? Yes @linkshighlights , I've done all the usual stuff, but to no avail. I get the "1 message" notification, so I do know that you've messaged me, but there's no chat area, and no "words played" list, as shown below. So sorry, but this is the final straw; I'm done. I'm playing Wordfeud now - missing a few features, but none of the childish ****** that this game has forced onto me. Well I found the chat button, but it's only available if you play in portrait mode, not in landscape! It hasn't altered my opinion though, and I'm away once my current games have been concluded. At least I've found a way to message my friends now. I'm new here and not sure how this works so Does anyone from Zynga ever answer here?